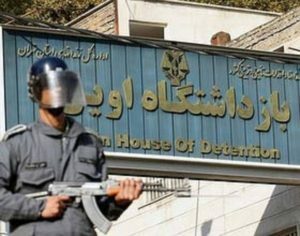 In a letter addressed to the head of notorious Evin prison, Ali Ashraf Rostami Aghdam, thirty three female prisoners of conscience expressed their outrage at the brutality with which they were stripped and cavity searched. They state in no uncertain terms that the treatment they received and the manner in which they were searched was nothing short of sexual abuse. They have vowed never again. They assert that they will never allow such violation of their fundamental rights to happen again. In their letter they have demanded a full explanation and an apology. The incident had happened on 30 October 2012 during a raid at their confined quarters which is under strict surveillance and security cameras that monitor their every moment. A week has passed and the letter remains unacknowledged and unanswered. Nine women had already decided enough was enough. They had decided that the only way for them to be heard was to take their lives into their own hands and go on hunger strike. They have now been on hunger strike for six days. Without addressing their demands, the prison authorities have threatened to revoke their limited rights. It became necessary for some to be treated at the prison’s infirmary. Yet, they are still demanding an explanation and a full apology for the unacceptable treatment they have received. The voice of these extraordinary women, among them human rights defenders, journalists, women’s rights activists, poet, student and translator must be heard. As required by international standards and national laws what training have these prison guards received? When was the last independent inspection of Evin prison and where is its finding? Has an independent investigation of the events of 30 October 2012 been instigated? Have the three named guards been suspended pending the outcome of the investigation? What actions have been taken to secure the safety of the hunger strikers from further physical and psychological threats? Without a doubt, sexual abuse of prisoners constitutes torture prohibited by Iran’s national laws and international obligations. It is unacceptable for prisoners of conscience, already paying a high price for standing up to an unjust system, to have to risk their lives to expose torture and culture of impunity in Iran’s prisons. In unison with the female prisoners of conscience ACI demands a full apology, prosecution of the offending guards and guarantees that sexual violence and assaults will not be used against prisoners. ACI further asks the international community to bring pressure on the Islamic regime to ensure the physical and psychological safety of the hunger strikers and other prisoners of conscience. Raheleh Zokaie (prisoner) serving over ten years. It has been reported that Raheleh may have broken her hunger strike. It should be noted that Nasrin Sotoodeh, human rights lawyer and women’s rights activist has been on hunger strike since 17 October 2012 in protest against ongoing harassment of her family and violation of her most basic human rights. On 31 October and as the women went on hunger strike Sotoodeh was hurriedly removed from her cell and is now detained in solitary confinement of Evin’s 209 Wing which is under the supervision of security and intelligence forces. Serious concern remains for her safety and well being.